This week I’m whipping up easy peppermint recipes that will make your holidays sparkle with little to no time or effort. Who has extra time with so many other pressing holiday plans, parties and tasks at hand. Homemade whipped cream is the easiest thing to make and I feel like so many people are intimidated by it. No need. So simple. 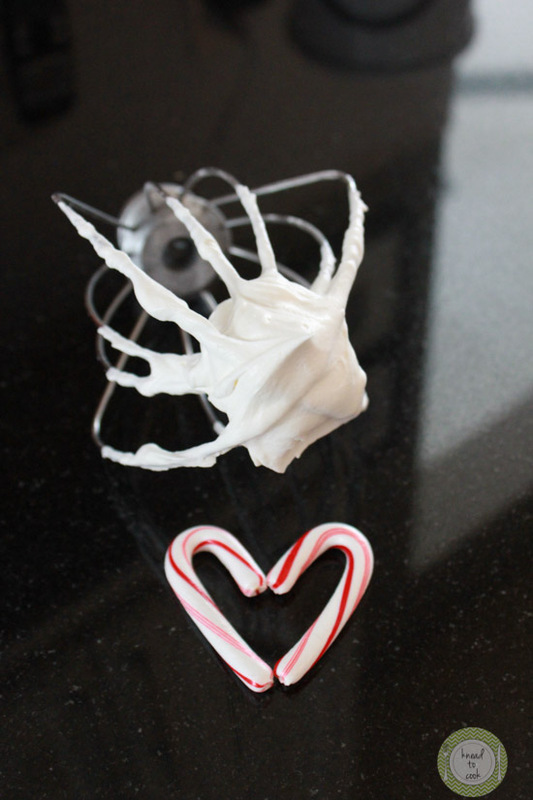 And adding a bit of peppermint to the base makes this whipped cream perfect for your lattes, fraps or hot chocolate. It would also rock a chocolate pie or sundae. Simple ingredients, takes only a few minutes and tastes so much better than the store-bought version. A must try this holiday season. 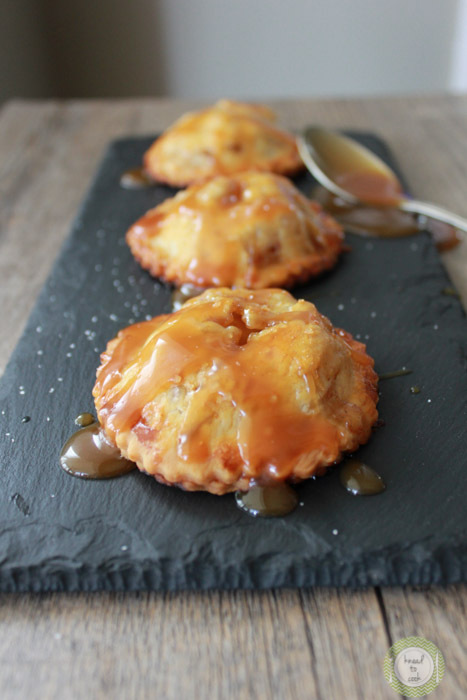 Caramel Sea Salt Mini Apple Hand Pies. I’m on a mini kick lately. My family can’t seem to get enough of the cute, bite-sized food and I love that everyone gets their own. The size and amount of filling can be adjusted to what you have on hand. Apple pie epitomizes fall and that my dear, is perfection in my eyes. You can make this recipe super easy by using store-bought pie crust and candy caramels or jarred caramel. 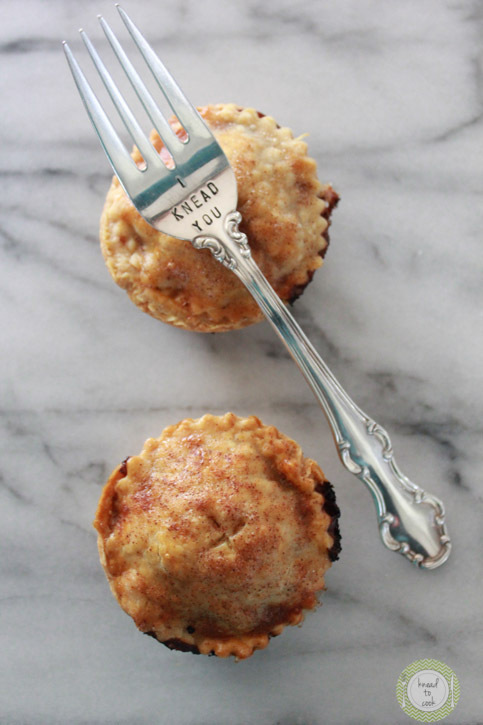 Muffin Pan Mini Apple Pies. Yesterday made me stop and really examine the last two weeks of my life. I’m unsure if I’ve been really blessed (I’m leaning towards this) or someone is out there gunning for me. Two weeks ago I had a fairly routine operation on my finger resulting in a case of staph infection that landed me in the hospital with IV antibiotics and another surgery to flush out any remaining staph bacteria. The worse case scenario, the docs told me was that I would have a pic line installed and have to go to the hospital every single day for IV antibiotics for 30 days. Thank heavens this wasn’t the case. I walked out of the hospital with oral antibiotics and have been healing up, dealing with the pain of the surgery. This, the docs said was because I was in great shape and I’m very healthy. Okay great. Plus, I have been granted permission upon discharge to continue training, something very important to me and my mental health. I gain great enjoyment from working out and it is a simple way of keeping the endorphins flowing and me happy. Win! Win! So yesterday I headed out about 5:20 am for a ten mile run. I’m training for a half marathon that I have yet to determine (yes, I need to get on this). As I just hit the 9 mile mark, very close to my home, a car that didn’t see me (because the driver wasn’t looking in my direction) hit me. I was fortunate to act fast and catapult myself over his hood and land on the other side of the car. It all happened in slow motion. I landed on my feet and was partially in shock that this happened and that he was driving away! He then must’ve got a glimpse of me running towards the car and stopped. His comment “I never even saw you.” Are you kidding me? I turned and ran home finishing my ten miles in record time and a bit in shock. Long story short, I walked away from a car hitting me. I remember my hands on the hood of the car and thinking is this for real? The engine roaring underneath my palms, I was blessed with the thought of jumping on the hood an getting legs out of the way. I couldn’t make this stuff up if I tried. So I’m going with blessed! I escaped two situations that could’ve left me very injured or even dead. 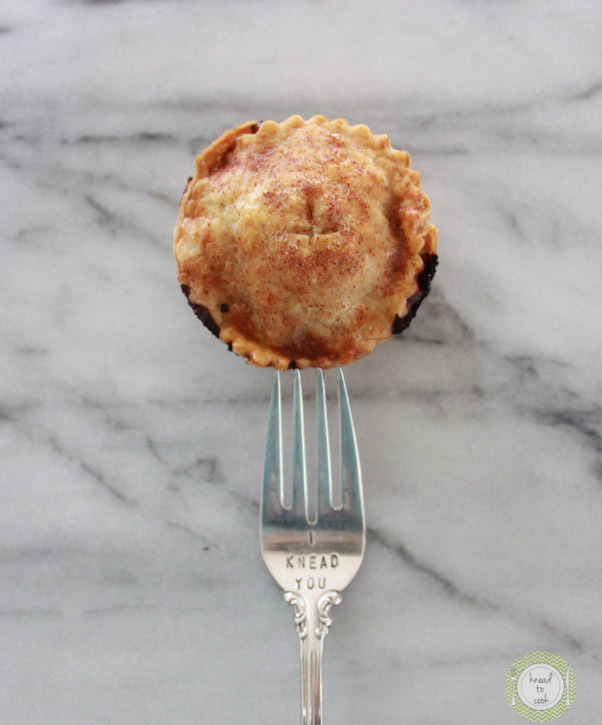 So what did I do… I shook it off, relished my ten mile run and made mini pies for my family. One-handed I might add. I really prefer to live under the radar but lately that’s been quite difficult! 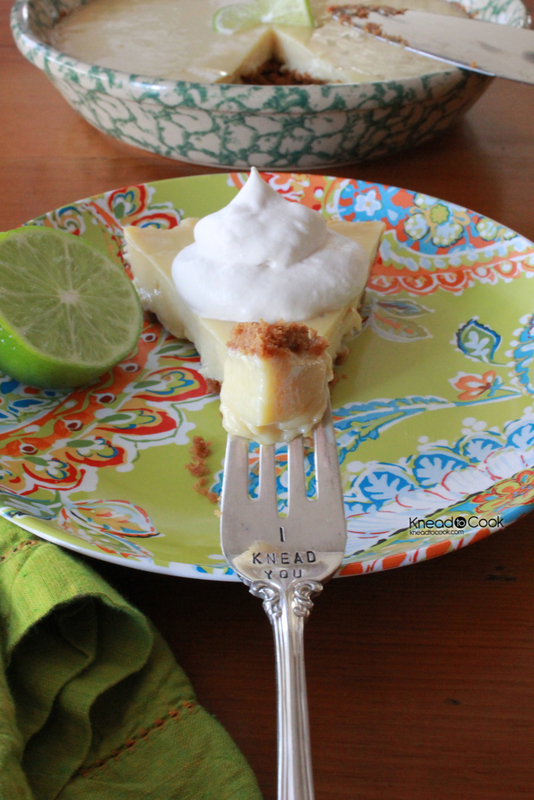 Key Lime Pie with Graham Cracker Crust. Happy National Pi Day! In honor of this fun day, I whipped up a from scratch graham cracker crust key lime pie. Oh so good! It was a lovely treat post our pulled pork sandwiches. 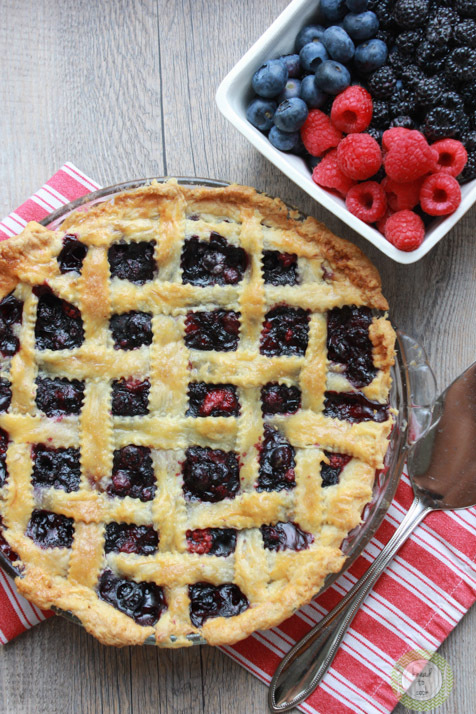 This pie is deceptively easy and tart and sweet perfection. A must try! In your food processor, pulverize the graham crackers until completely broken down into a sandy texture. Add the melted butter and blend. You should be able to pinch the dough mixture together, if it sticks, you can pour out into your pie pan. If not, you may need to add additional melted butter. Pour into your pie pan and push down firmly. Bake at 350 degrees for 12 minutes or until golden. Blend the ingredients in your stand mixer with the paddle attachment on. Blend for about 1-2 minutes or until completely combined. Pour into the cooled pie crust. Bake in the oven at 350 degrees for 17 minutes. Remove and let cool. Then refrigerate for at least 1 hour before serving. Slice and enjoy! Meyer lemon curd & blueberry pie with homemade crust. 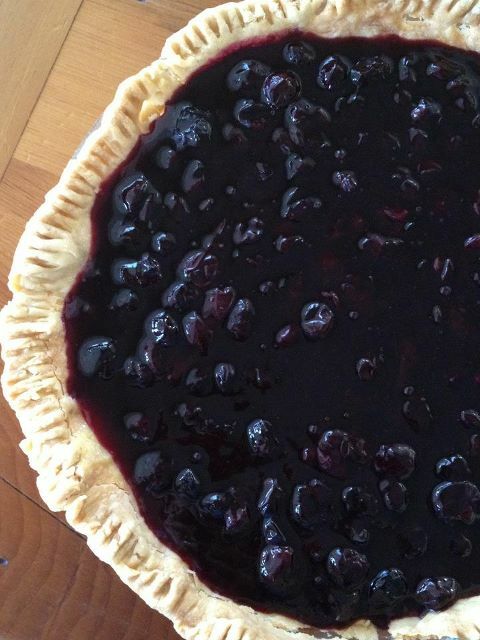 In honor of National Pi Day – being the foodie that I’m am, I had to make a pie to celebrate! 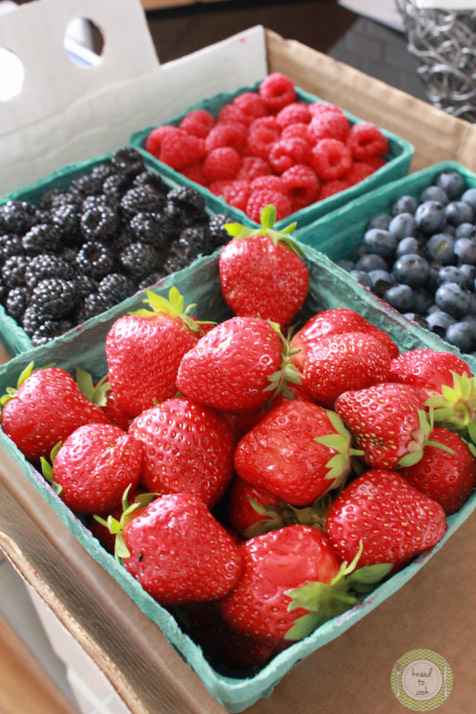 Having on hand Meyer lemons & blueberries… this recipe was born! 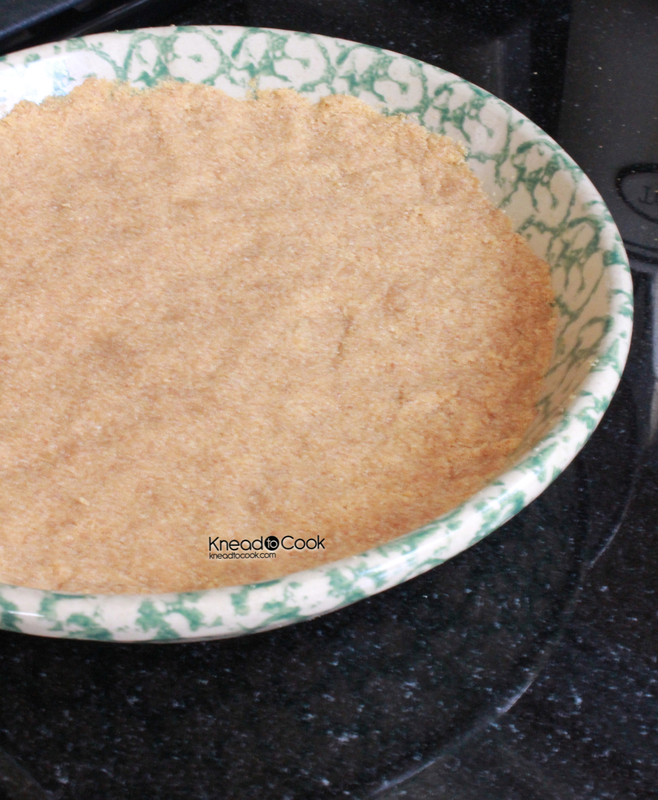 This is a pretty stander crust recipe. In your food processor, add the flour. Then add the very cold butter and shortening to the flour. Add the salt and pulse to blend. Quick pulses, 4 times. Then with the motor running, add the water – 1 tbl at a time. The dough will be very crumbly. This is exactly how you want it! Stop the machine. Lay one piece of plastic wrap on your counter and pour the dough onto it. Wrap the plastic wrap around it and form it into a ball (using the plastic wrap over top). Handle the dough as little as possible. Then chill for 45 minutes in the fridge. When you’re ready, roll the dough onto a floured surface. Make a 14 inch circle and then roll the dough around your rolling pin. Then transfer the dough to your pie pan and roll it over top. Push it down in the corners and cut off the excess around the edges. Next, cut a piece of parchment paper to the size of the bottom of the pie pan. 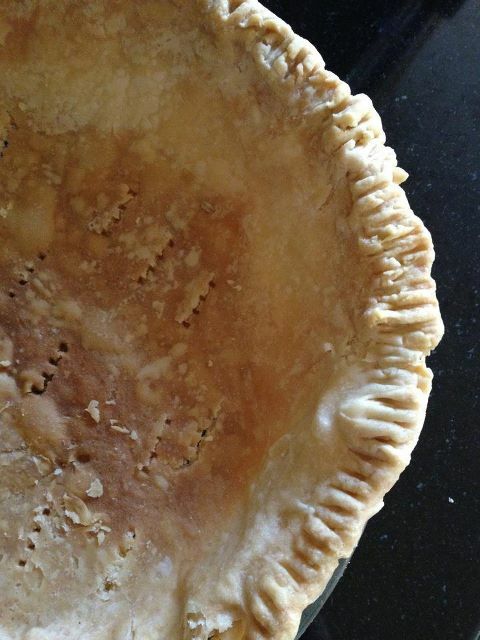 Then fill the pie crust with pie weights or dried beans. Bake for 25 minutes. Then remove from the oven. Carefully remove the beans and parchment paper. With a fork prick the dough (bottom) all over. Then return to the oven for 30 minutes or until golden brown. When done cooking, let cool fully. In your saucepan over low/medium heat, add the eggs, sugar, butter and Meyer lemon juice. Whisking often. Cook this for about 16-20 minutes or until thickened. Remove from heat and let cool. Add the custard to the cooled pie crust (first layer). 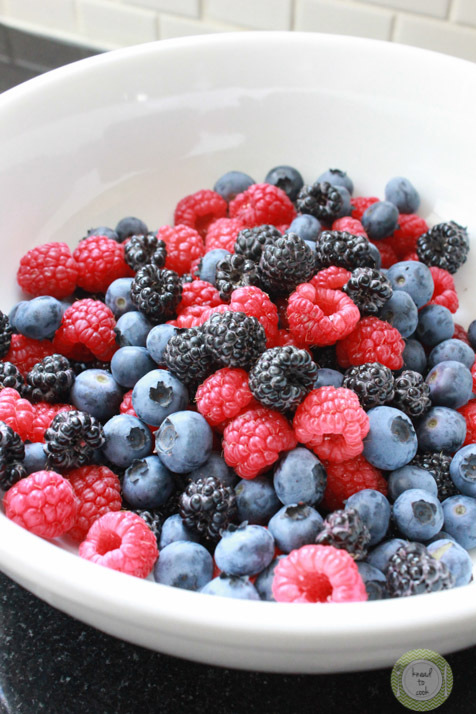 In a sauce pan, add the blueberries and sugar and begin to cook over a medium flame. In a separate bowl combine orange juice and the cornstarch then add to the blueberry mixture. Stir gently. Cook this for about 10 minutes. Continuing to gently stir. Then let the mixture cool for 15 minutes. Once cooled, top the custard with this mixture. Then refrigerate for 4-5 hours prior to serving.